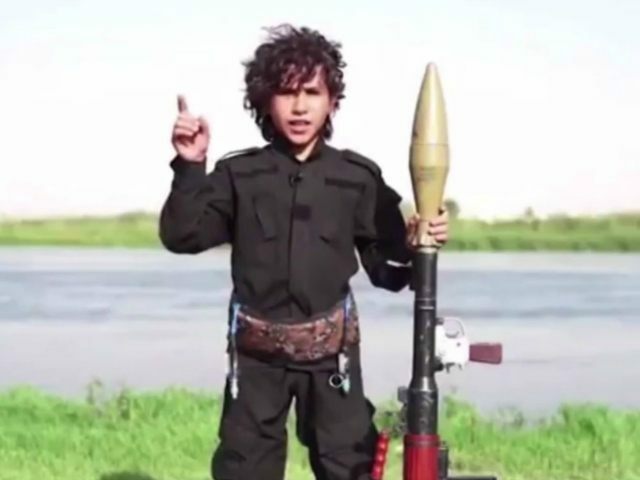 The latest in a string of ISIS videos to feature child soldiers features a boy, about ten years of age, brandishing a rocket-propelled grenade and threatening to behead President Obama unless the United States submits to the Islamic State. As the UK Daily Mail reports, the video is titled “A Message to the Dog of Rome Obama,” which implies Obama is a servant of the Vatican engaged in a literal Crusade against the Islamic State. 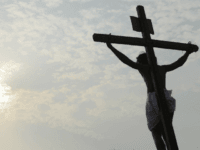 This is terribly unfair to President Obama, who has spoken out against the Crusades on many occasions, as when he memorably lectured Christians not to get up on their “high horses” over Islamist atrocities. The jizya is a religious tax imposed by Muslims upon subjugated non-believers, while khalifah means “caliphate,” the title ISIS claims for its empire. Previous ISIS videos have pictured child soldiers with guns and suggested they were undergoing military training, and taking part in the execution of prisoners. The Islamic State refers to these children as “Cubs of the Caliphate.” A March article by the Jerusalem Post stated that ISIS had recruited at least 400 children in Syria over the previous few months—sometimes encouraging parents to send their kids to training camps, other times seizing the children without their parents’ consent.